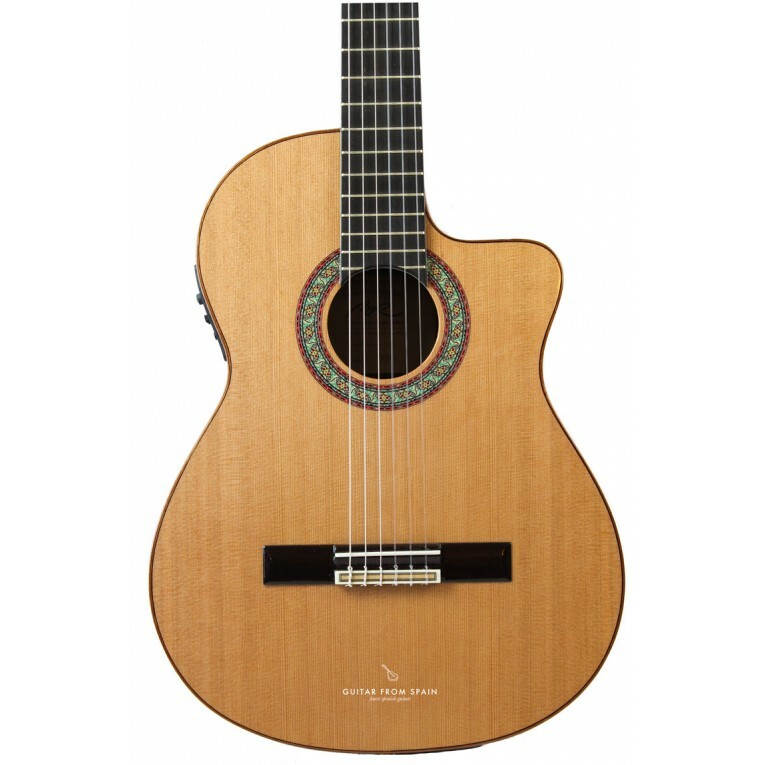 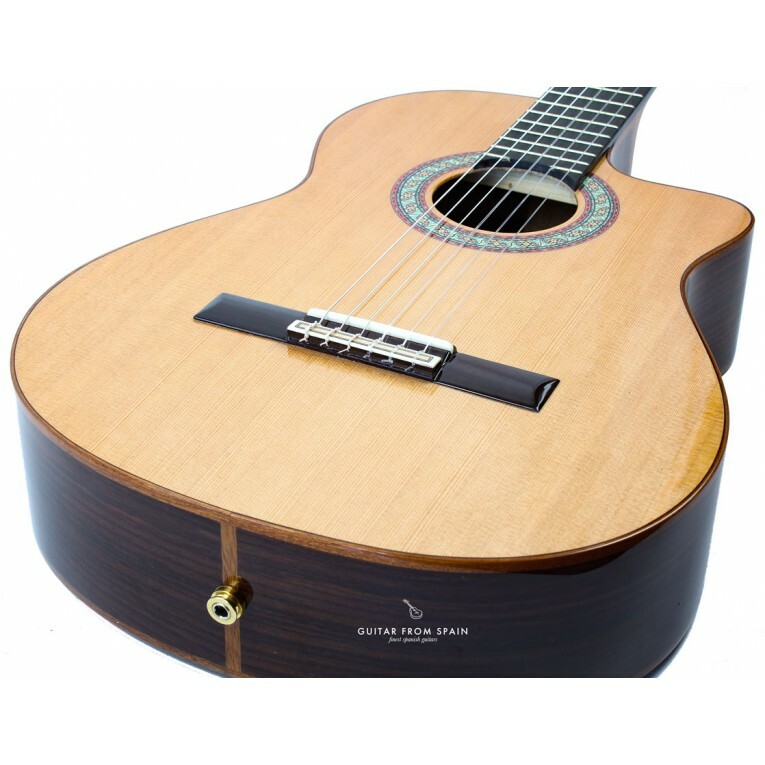 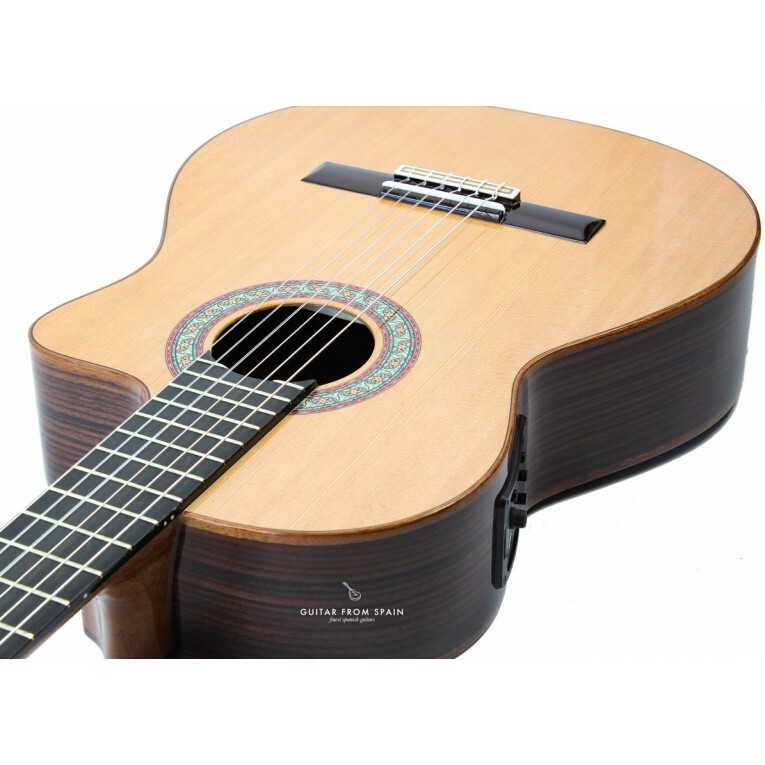 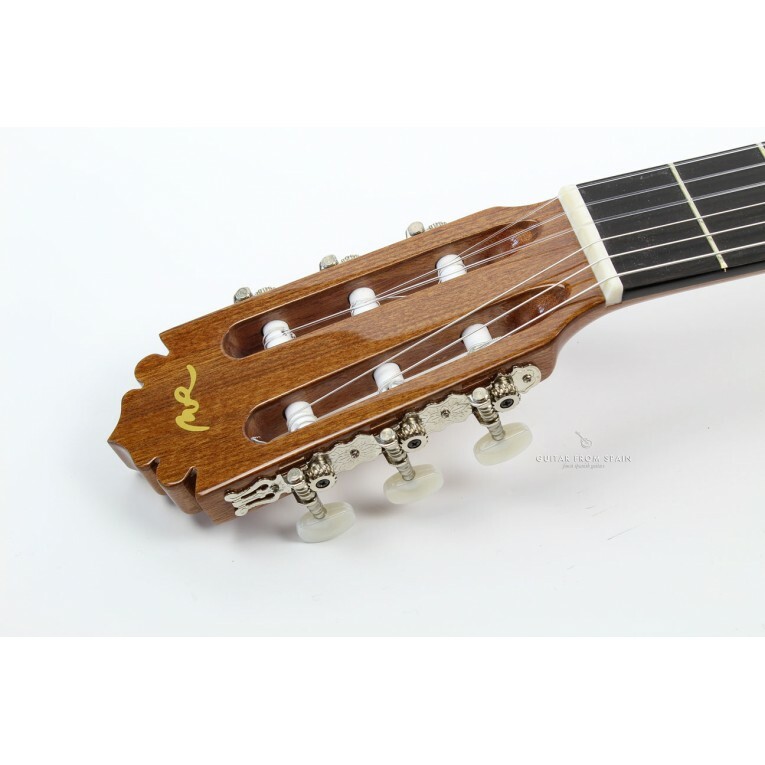 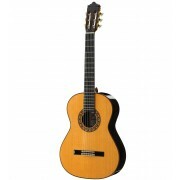 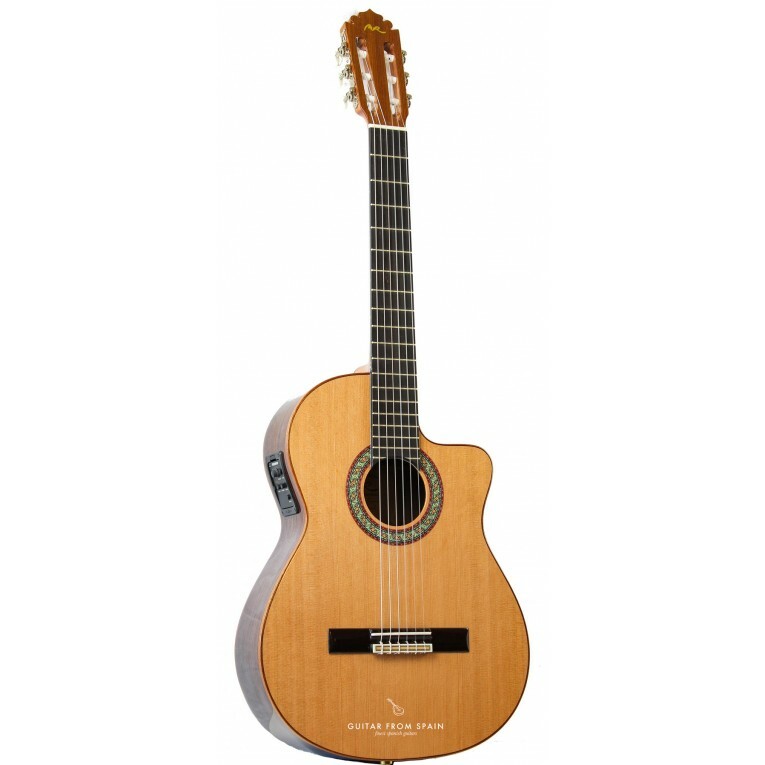 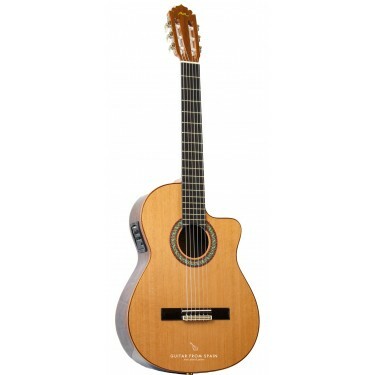 The guitar Manuel Rodriguez C1S CUT is the cutaway version of the classic model C1S and the replacement model of the A CUT. 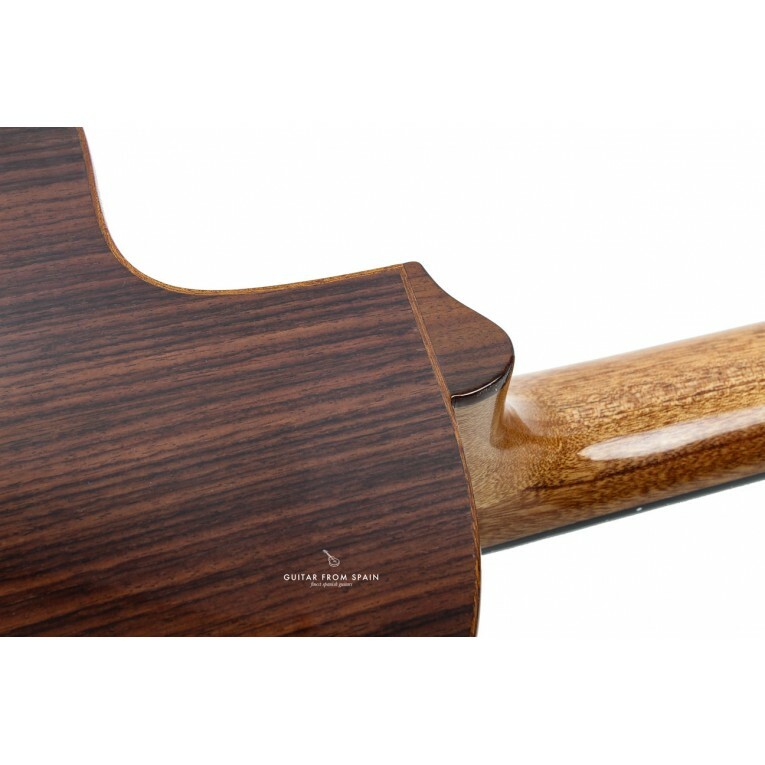 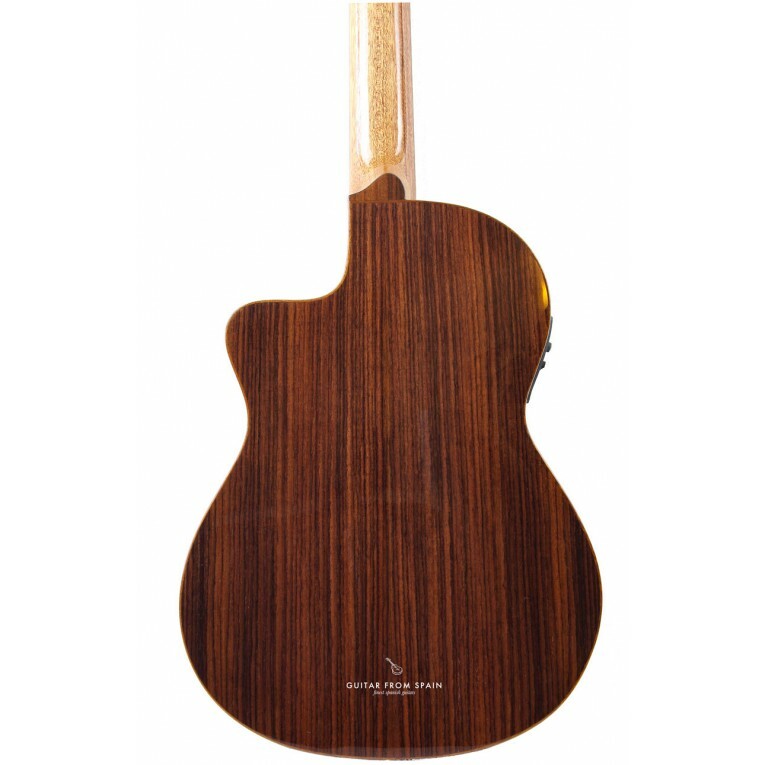 Like its sister, it presents a honey colour with its strong Canadian Cedar top, which is also used for the neck. 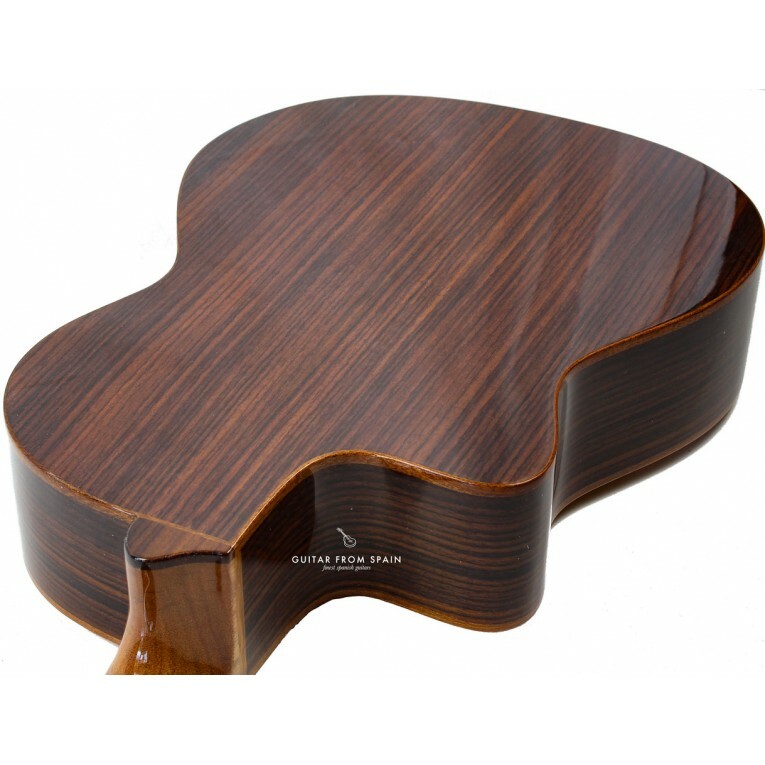 The Rodriguez C1S CUT uses another great wood, the robust Indian Rosewood. 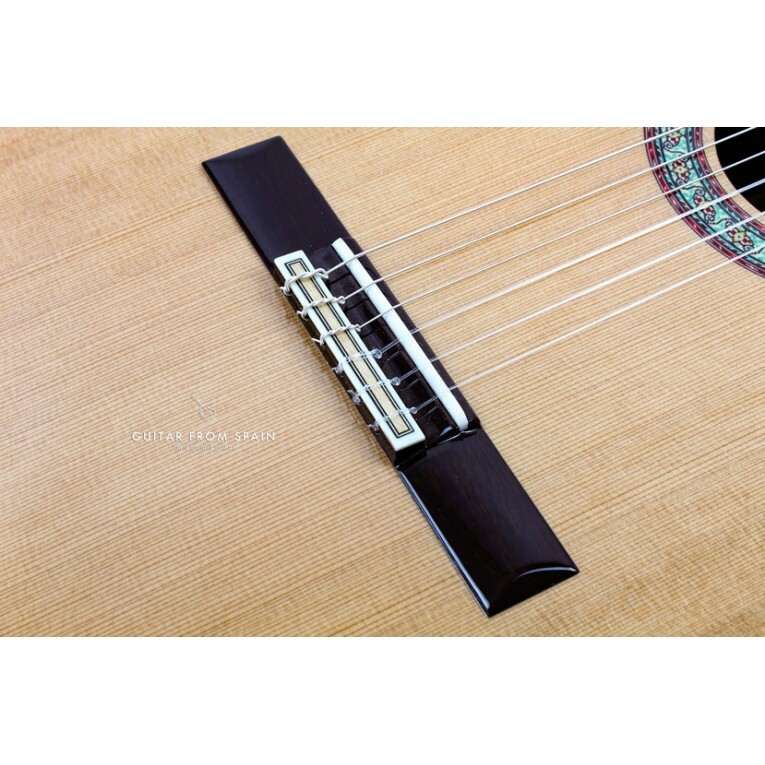 This material forms its headstock, bridge, sides and back. 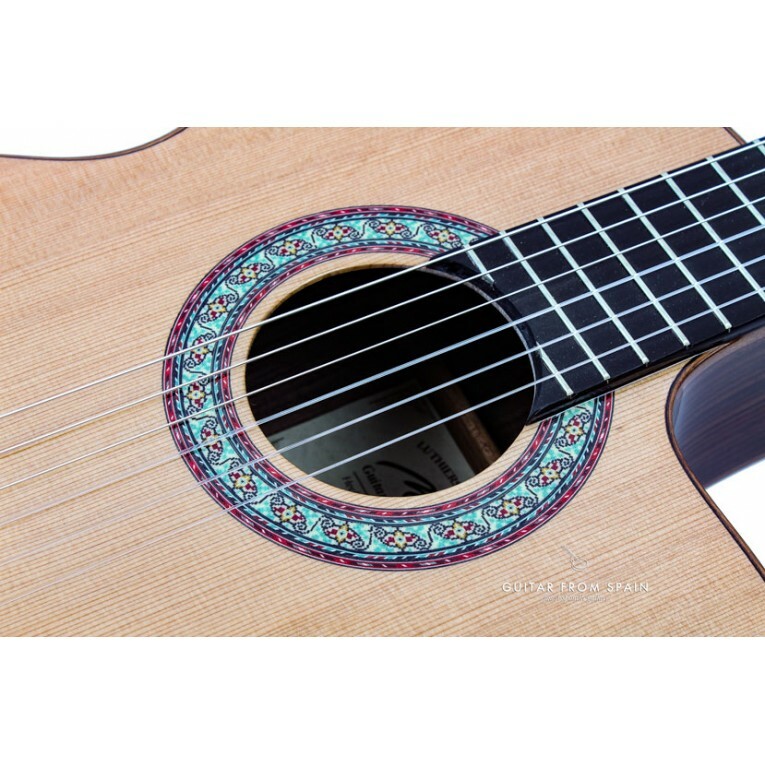 This classic, presents a colourful inlay in the rosette and silver plated tuners. 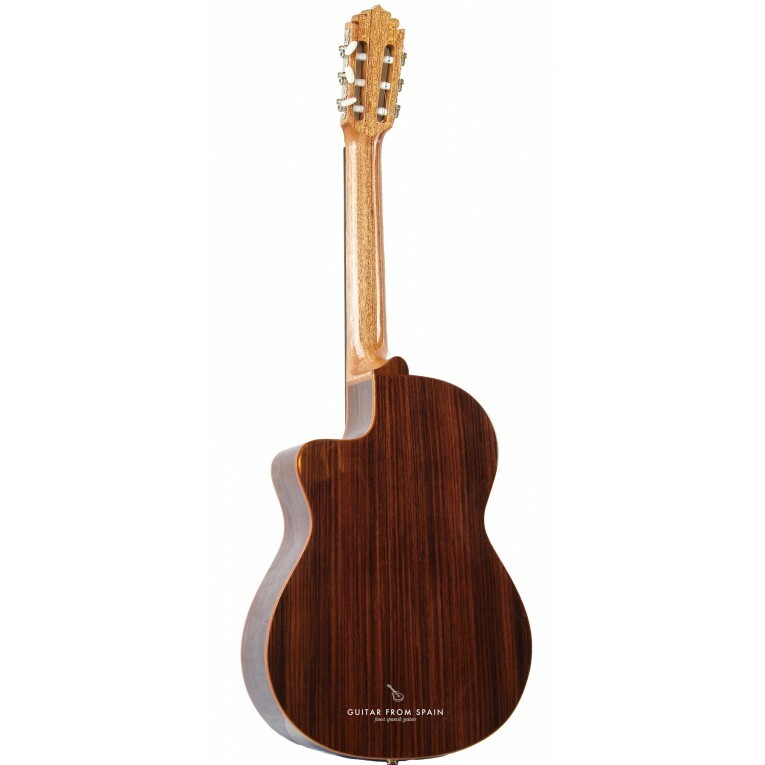 The neck is reinforced with two ebony strips on the underside of the fingerboard to provide rigidity and eliminate movement caused by aging. 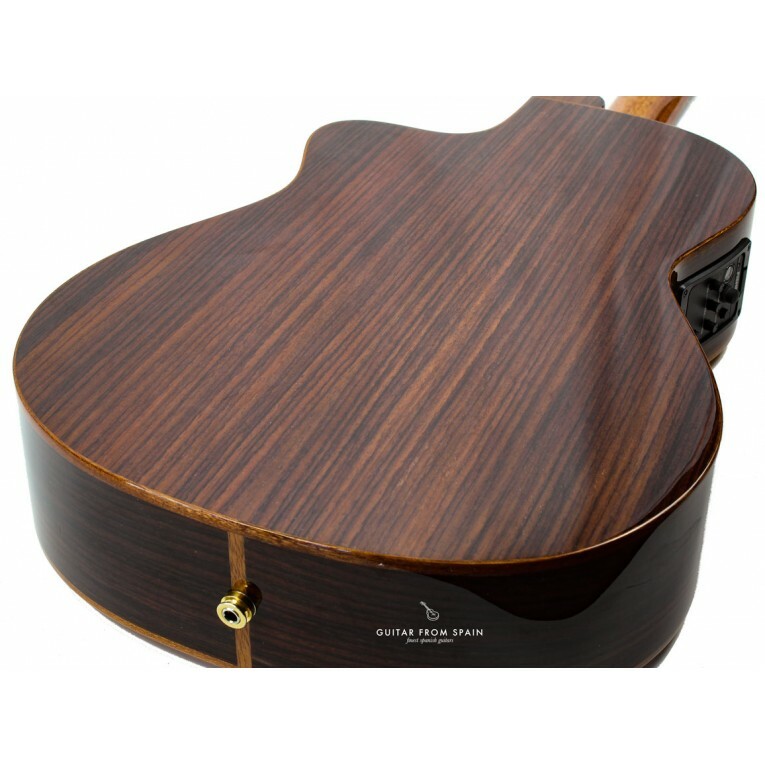 Appointments include stained Indian rosewood binding, wood mosaic sound-hole rosette, and a traditional gloss finish. 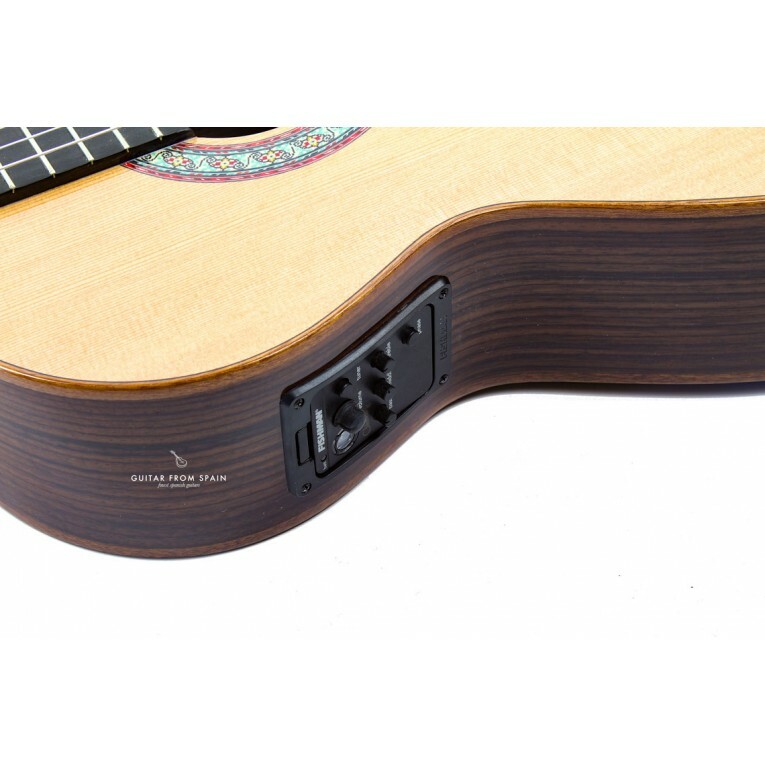 Comes electrified with Fishman Classic III pickup and preamp with tuner.